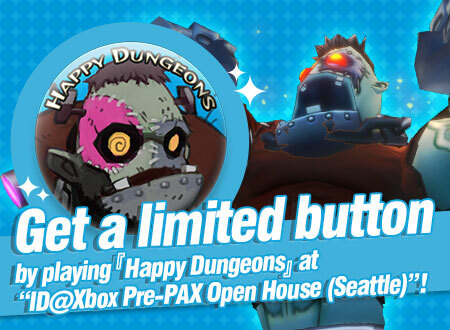 Toylogic Inc. | Toylog - Get a limited button by playing "Happy Dungeons" at "ID@Xbox Pre-PAX Open House (Seattle)"! Microsoft Game Event "ID@Xbox Pre-PAX Open House (Seattle)" will be held on August 27 (Thursday) at 5-8 PM at Microsoft campus. If you play "Happy Dungeons" demo at "ID@Xbox Pre-PAX Open House (Seattle)," we will gift you an original button! We will give out the buttons until all the stock runs out. Please come check out the event if you live around Seattle in United States!